Homemade press intended to facilitate the process of separating motorcycle crankshaft components. 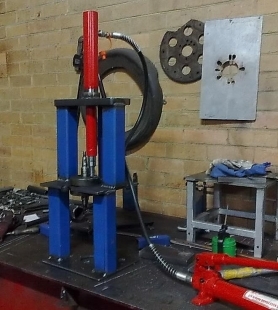 Constructed from square tubing, steel plate, and a Porta-Power hydraulic ram. Good use of a Porta-power's versatility.